Drug manufacturing charges are serious, requiring the knowledge and skill of a highly experienced lawyer adept at defending drug manufacturing cases. Our dedicated defense attorney at the Law Office of David Jay Glassman can provide the legal assistance you need when you are facing drug manufacturing charges in New Jersey. Many people who are arrested for drug crimes feel helpless and anxious about their futures, especially when faced with felony charges. You can feel confident that your case is in capable hands when you contact an experienced drug manufacturing attorney like David Jay Glassman. A vigorous and timely defense is crucial when you are dealing with charges for drug manufacturing. With more than three decades of legal experience, we are both sensitive to our clients’ circumstances and aggressive in defending our clients’ rights. Among drug defense lawyers, David Jay Glassman is always upfront and honest with you about the potential consequences of a conviction. He also advises you of any other legal options that may benefit your case. Mr. Glassman, one of the most experienced drug defense lawyers in New Jersey, has handled both state and federal drug charges. Our firm has a solid working knowledge of all of the legal issues involved. The Federal Sentencing Guidelines and Federal Rules of Evidence are nothing new to our legal team. The veteran criminal lawyer you retain from our firm understands the role those guidelines and rules can play when you face federal drug manufacturing charges. What are the consequences of a drug manufacturing charge in New Jersey? The size of the drug network or operation will also have some bearing on sentencing. Lawyers in New Jersey who handle drug manufacturing cases have the skills and legal background necessary to provide an aggressive felony defense. At the Law Office of David Jay Glassman, our felony defense attorney possesses the skill, experience and tenacity to defend you in a federal or state courtroom. 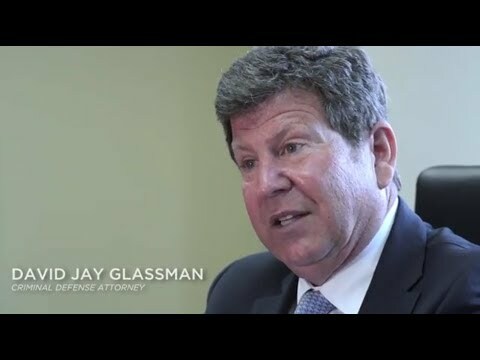 The Law Office of David Jay Glassman will be at your side every step of the way, offering creative solutions to your present legal difficulties. From our offices in Marlton, Newark, New Brunswick and Hackensack, our legal team handles cases throughout New Jersey. If you have been charged with the crime of drug manufacturing, call us at 866-221-1270 or contact us online for an immediate consultation and evaluation.